It’s no longer all about that bass around the Goshen College music department as countertenor Joshua Boggs begins his work as the interim instructor of choral music at Goshen College. Boggs, who sings countertenor, holds this position for the 2018-2019 academic year in place of director Scott Hochstetler. Hochstetler and his wife Rachel are serving in Peru as faculty leaders for three rounds of SST groups. During the year, Boggs will take over the teaching of Men’s Choir, Aural Skills, Conducting 1 and some voice lessons. Boggs originally heard about the position through a friend, although he said he was already familiar with Goshen College. During what Boggs called an “extensive interview process,” he was called on to display his teaching and vocal abilities. He taught a masterclass, conducted a short rehearsal with the Men’s Choir and even sang some songs himself. In fact, one of his first official tasks as the instructor of choral music was sitting in on the bi-yearly music ensemble auditions, held in late August. Stephen Lowe, a sophomore music education major and returning Men’s Choir choral assistant, said that he is looking forward to what Boggs has to offer to the department, both in choir and vocal coaching sessions. Rather than controlling a room, Boggs commands it, Lowe said. Even within the first week of teaching at Goshen College, Boggs has shown an ability to “handle repertoire differently,” Lowe said. Boggs strives for excellence in a more “reserved way”. Lowe said that he is looking forward to his coming voice lessons with Boggs. As a countertenor himself, Lowe expressed appreciation to have the opportunity to work with someone who, through example, could help his vocal quality on the higher vocal octaves. The Goshen community will also have the opportunity to see Boggs’ work on the John S. Umble stage. Anna Kurtz Kuk, assistant professor of theater and director of the upcoming spring musical, “Bright Star,” noted that Boggs will be heading up the musical aspects of the production. As an active member of the theater, this will not be his first time directing the musical aspects of a staged musical. Previously, he directed the musical, “Hair,” and played Frederic in “Pirates of Penzance,” Friedrich in “The Sound of Music,” and Linus in “You’re a Good Man, Charlie Brown,” among other roles. While he has mostly been focusing on opera in recent years, he is excited to be able to work on a production of a musical again. “It’s a large commitment from a large number of people, so you get to know those people very well over time,” said Boggs, recalling some of the aspects of the theater that he is looking forward to encountering again this spring. 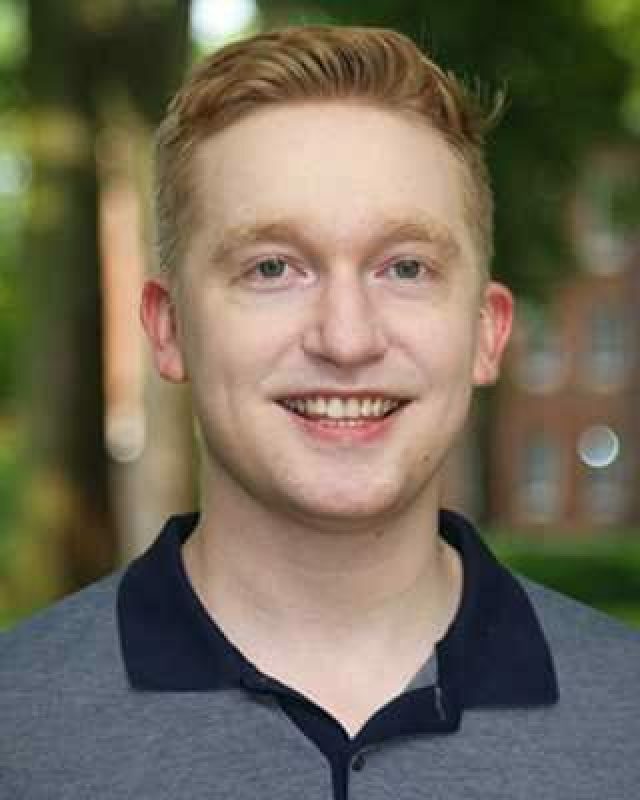 He also looks forward to completing his doctoral dissertation on “Conspirare: Considering Matthew Shepard,” a “fusion oratorio” presented by Conspirare about the life of Matthew Shepard, a gay man who was murdered in Wyoming because of his sexuality. “It is a story of grief and hope, faith and humanity,” said Boggs. “Social justice driven narratives” like this are something that Boggs seeks to promote in his teaching, which is shown in his selections for the Men’s Choir repertoire this year. Shepard’s story sparked a number of hate crime legislations across the country, as well as a foundation in his name. Indiana is one of only five remaining states in the United States that lacks hate crime legislation, which is one of the reasons why Conspirare’s performance was included in this year’s Performing Arts Series. When he’s not teaching or conducting the choir, Boggs can often be found in his office, MC 217. He will be making his conducting debut at Goshen College with the men’s choir at the Homecoming Music Gala on Saturday, Oct. 6. Boggs will also take the stage at the Men’s Choir Festival Concert on Nov. 6, as well as the annual Festival of Carols concert in December, mid-winter concert in February, and Earthtones: Songs of Many Cultures concert in April.